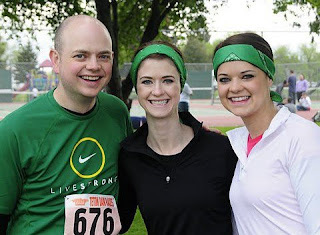 While I was home in June I was able to run a 10K with my brother and sister. It was a little bit harder then I hoped for but we all finished with good times and no injuries. It really does feel good to have finished a race. Who knew that we would all become runners? Jason coming up to the finish line. Carina coming up to the finish line. Jason and Carina came and ran the home stretch with me. I was totally grateful, I think that last .2 was the longest part of the race.